Many engineering colleges in the district are barely queuing their seats without releasing the counseling schedules against government regulations. Management seats should be replaced after counseling in the conventional quota according to government regulations in counseling. The students have been entrusted with their reputation and placement in the last few years in their college and show the cell. They are forced to persuade students and their parents. Some colleges are cheating parents by informing them that the campus placements can be achieved if they read it. While there is less demand for engineering education tavaniki, the engineering entrance exam to qualify for the EAMCET have the opportunity to find a seat for everyone. However, some colleges have shown that the franchise has been crazy and the management seats have already been announced. With the help of counseling in the college they need to go to their respective colleges and get the desired brunch millions. There are four colleges in Vijayawada surrounding colleges. They say that management quota seats have already been allotted. The leading engineering college in the city and the state is also giving CSI Branch two to three lakhs management seat. Similarly, the mechanical branch ranges from one lakh to one lakh. The address and phone number will be told later that they did not have any of them now. 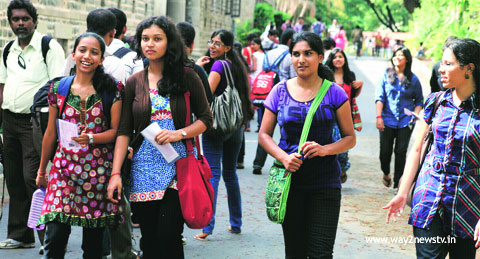 Of these, 10 colleges are offering higher fees for management colleges and students are willing to read. Though the management quotas have already been sold in engineering colleges in the Vijayawada area, the management seats are also filled with the management seats. However, after the convenor quota, the students and parents want to replace the management seats for the government's fees.